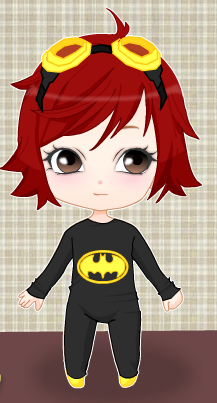 chibi Rene in Her batman PJ's. I got bored... so I made a chibi Rene!!. Wallpaper and background images in the Young Justice OC'S!!! club tagged: oc young justice rene pjs batman. This Young Justice OC'S!!! photo might contain anime, banda desenhada, manga, desenhos animados, mangá, and quadrinhos. Dear Iron girl, Why is you dad in sailor moon? "Rene why are you crying?" Bentley why won't you hug me?